There were a lot of great comments about the Porter Cable pcfp02003 and the average rating is a 4.6 out of 5 stars. compared to the Porter Cable C2002 that has some problems with the air pressure regulator we did not find only one of those complaints for the pcfp02003. There were some minor complaints about the fact that it is noisy but others mentioned that it was not too bad. From all the ratings about 5% were lower than a 3 and I like to read those always first to find some things they might have in common. The ones I found were just about the occasional lemon and most of them had a leak and that wast the reason it was returned. The water drain sometimes got stuck and we have read that a few times. Seems that the solution is not to open it all the way, but just enough to let the air and the water out. 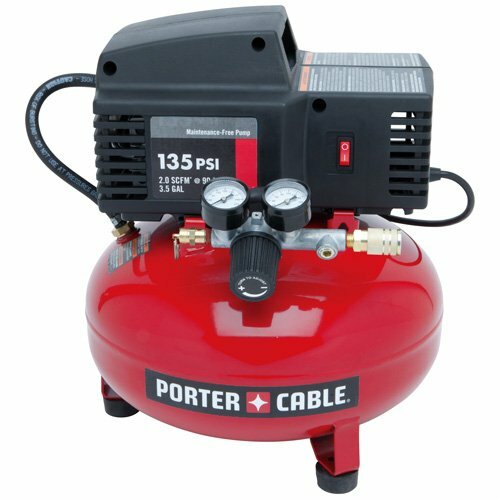 Overall this porter-cable pcfp02003 3.5-gallon 135 psi pancake compressor can be recommended as a pretty good buy. 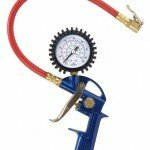 Just remember that it is not made for heavy duty use and although there are people who use it on their air wrenches it is cast to check your tools on how much air it needs. for normal use in and around the house and light construction jobs this pancake compressor can give you a lot of bang for its bucks. 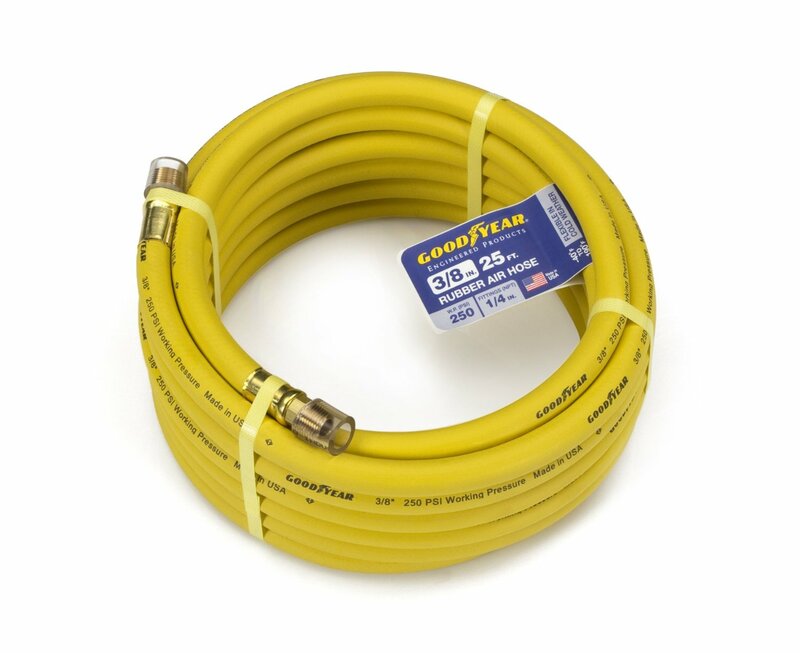 This hose can hold 250 psi and is 25 feet long. 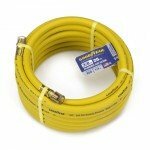 Many people who bought the Porter Cable pcfp02003 also bought this hose because it is a high quality hose that will last for many years. 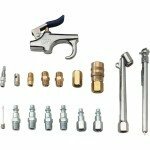 You just need to buy the right couplers with it to fit in your female coupler. For the price this a nice set for in your garage. Don’t forget to order some Teflon tape with it to make sure the connection does not leak. 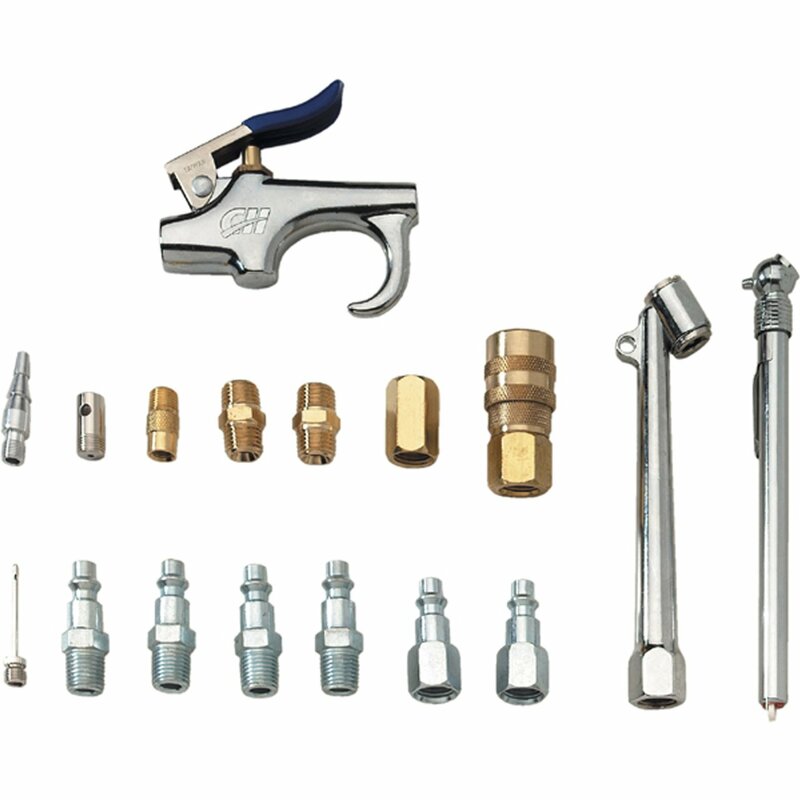 This set from Campbell Hausgeld contains17 pieces and has every connector you need. There is also a blow gun and connector to air up tires included. The pressure gauge always comes in handy. Most use of any air compressor is to air up tires. Car, Truck, lawnmower etc. 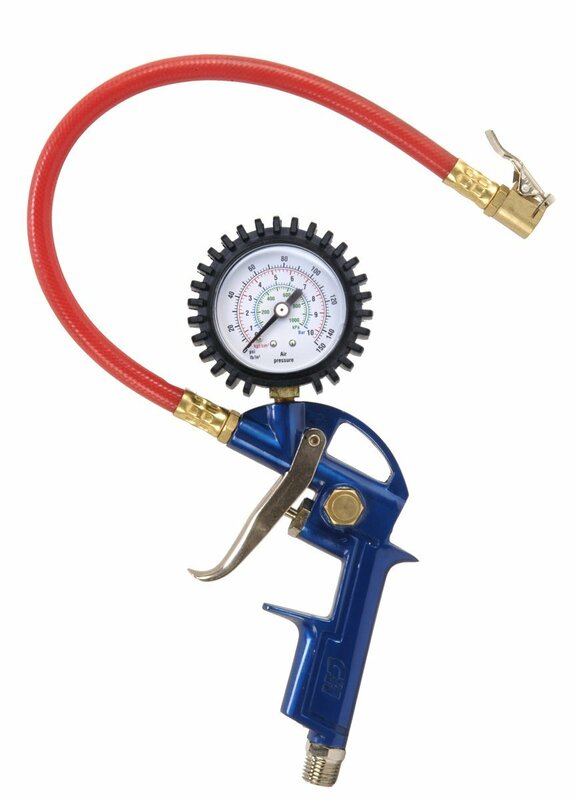 A good tire inflator is a valuable air compressor accessory and can save on your tires wear and tear. This is a Campbell Hausfeld MP6000 and it is the number one seller in air compressor accessories. Reasonable priced and available in 1,3,3,4 or 5 pack. Good present for every occasion.